When the 5 inch screens are all rage, the Samsung Galaxy Grand is all set to gratify every probable need, which is not heavy on pocket too, in the range of smartphones. 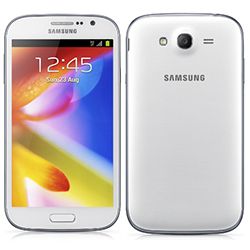 If you wish to own big screen at affordable price, the Galaxy Grand is certainly a choice to consider. Other than huge display, the Grand doesn’t comprehend much speciality, distinctive from other midrange smartphones of Samsung.